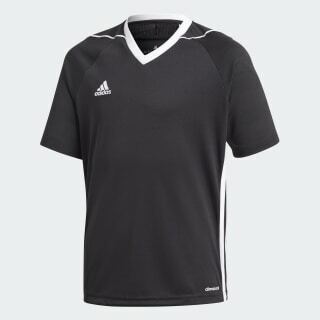 A ventilated jersey with mesh inserts. 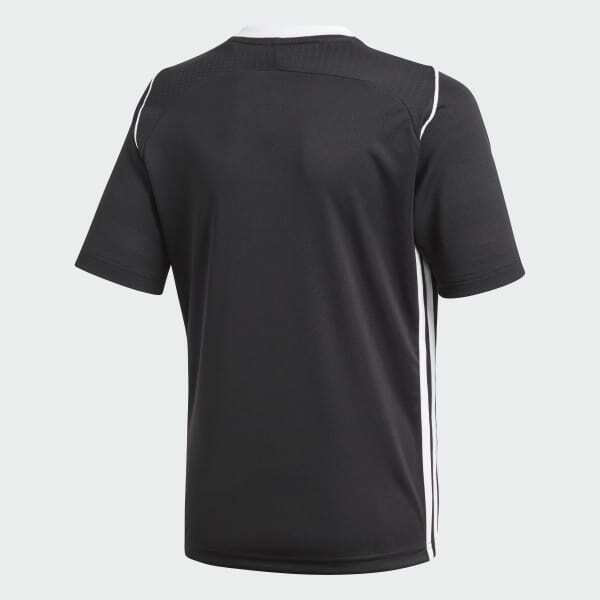 Set the pace on and off the field in this junior boys' V-neck soccer jersey. It's made of smooth recycled interlock and includes breathable climacool® with upper-back mesh inserts for targeted ventilation. The sleeves feature engineered fabric for a flash of style.